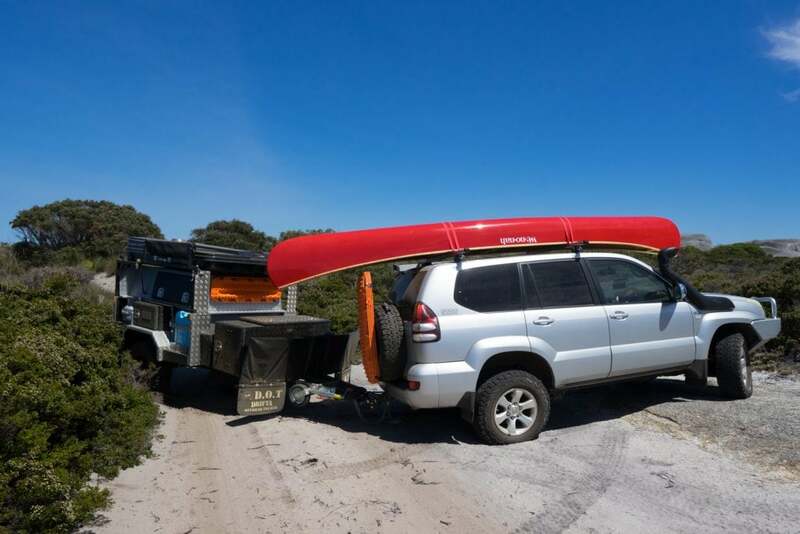 In July we towed a DRIFTA DOT 6 SOFT TOP to the tip of Dirk Hartog Island. It was a pleasure to test, but since the release of their HARD TOP version we’ve been eager to compare the two. 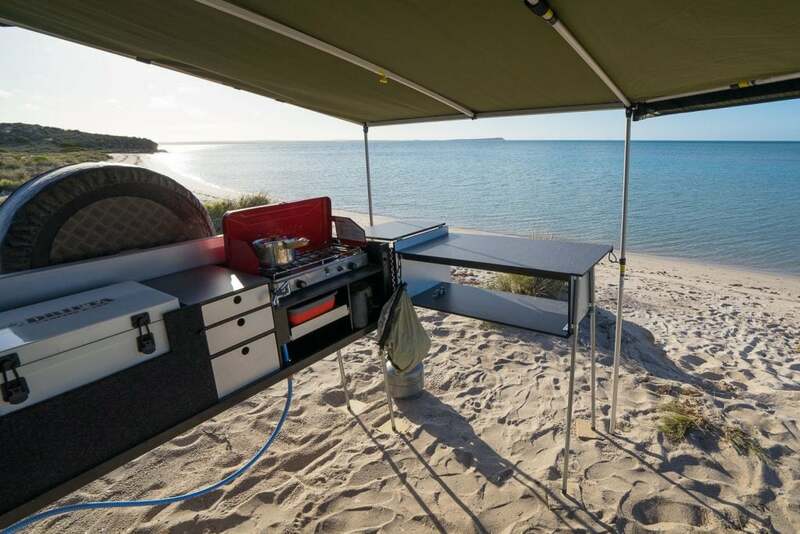 Fast forward and we’ve just returned from a trip along the south coast of Western Australian, so let’s dive in and take a look at this camper. 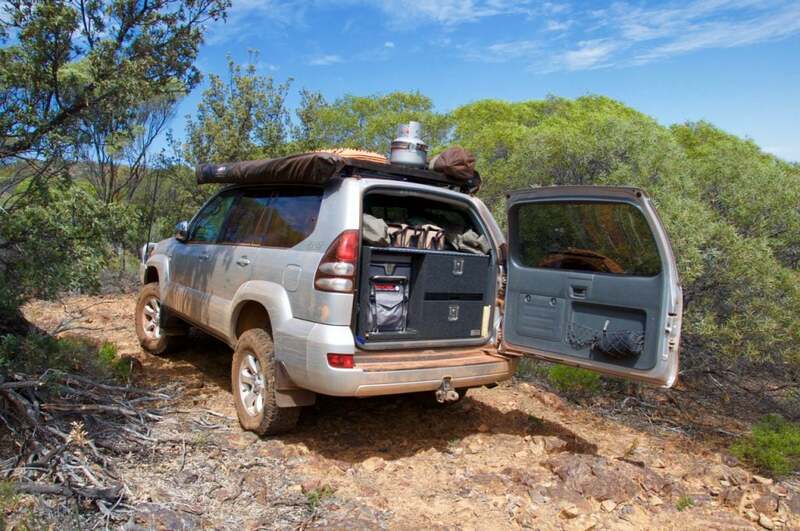 For us off-road performance and ruggedness are the most important considerations. 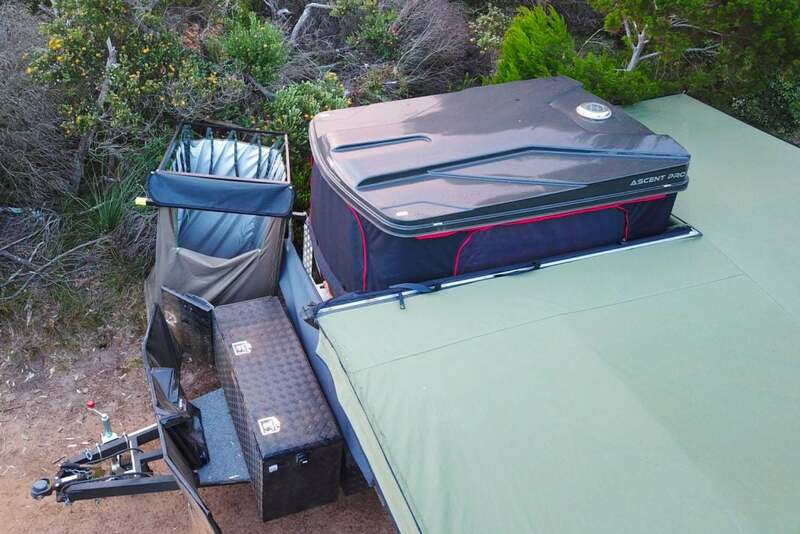 Comfort features matter little if the trailer becomes an outback corrugation casualty. 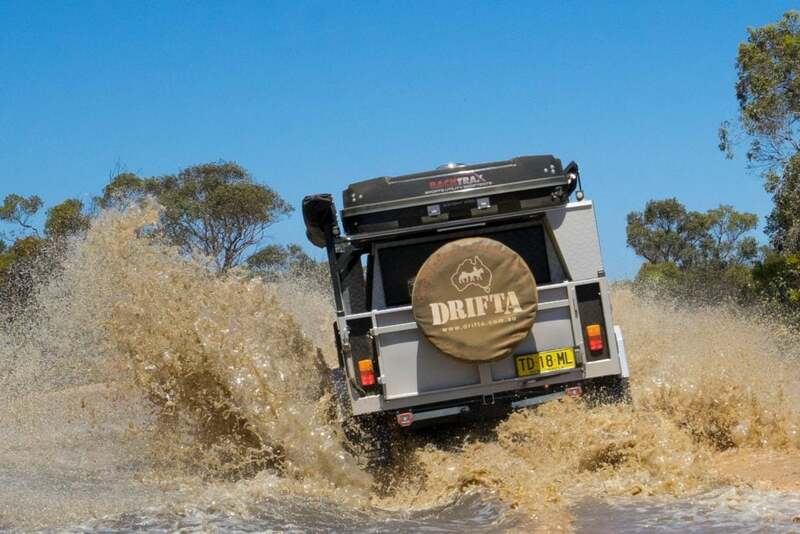 Like the DRIFTA DOT 6 SOFT TOP, the HARD TOP version is unapologetically tough. 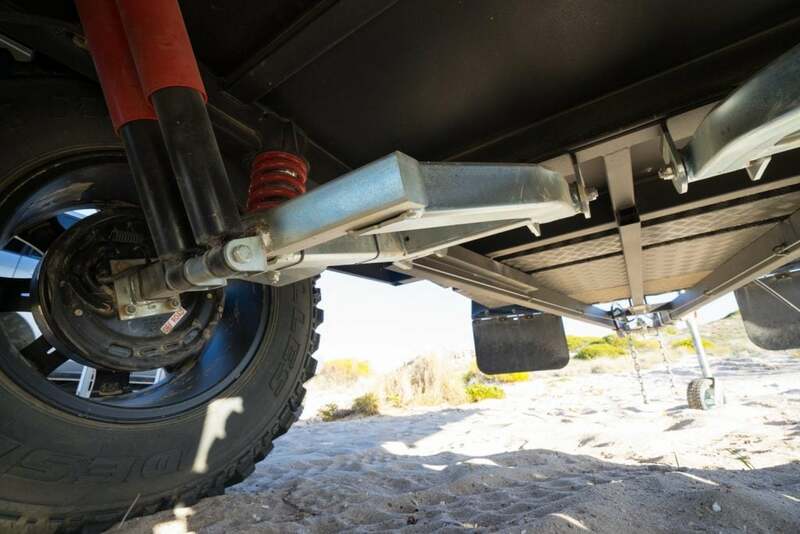 From a solid Australian made chassis hangs a robust ALKO independent suspension system. 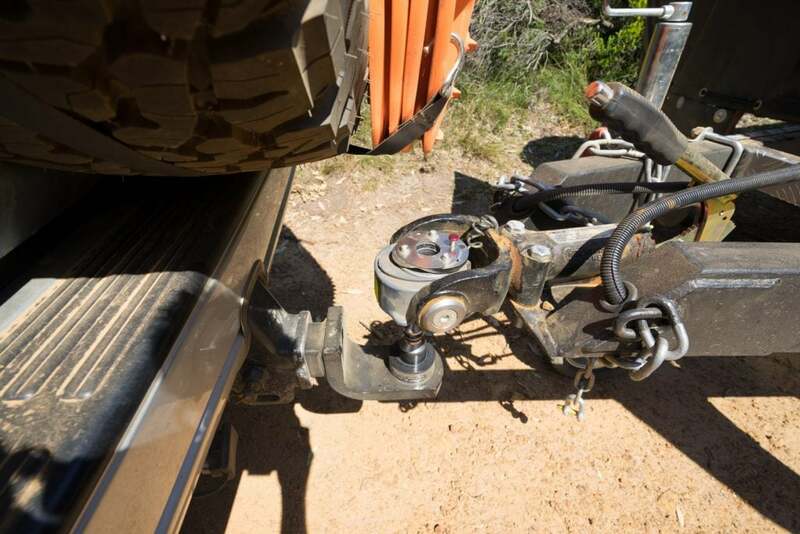 From axle to hitch is a measurement of 3 metres. At this length the trailer tows well, but more importantly it makes reversing effortless. The forward section of the drawbar is clear which means you can also reverse at quite tight angles. The HITCHMASTER DO35 is the best we’ve used. 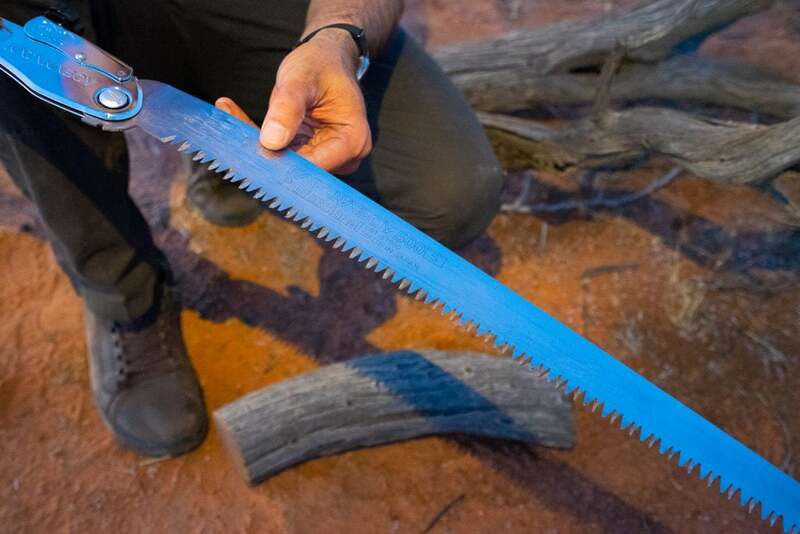 It’s rugged and is so easy to use. The 10 inch electric brakes when controlled by our REDARC Tow-Pro Elite operate in harmony with the vehicle. At higher speeds and during off-road descents there was no push from the trailer at all. We drove a variety of tracks. 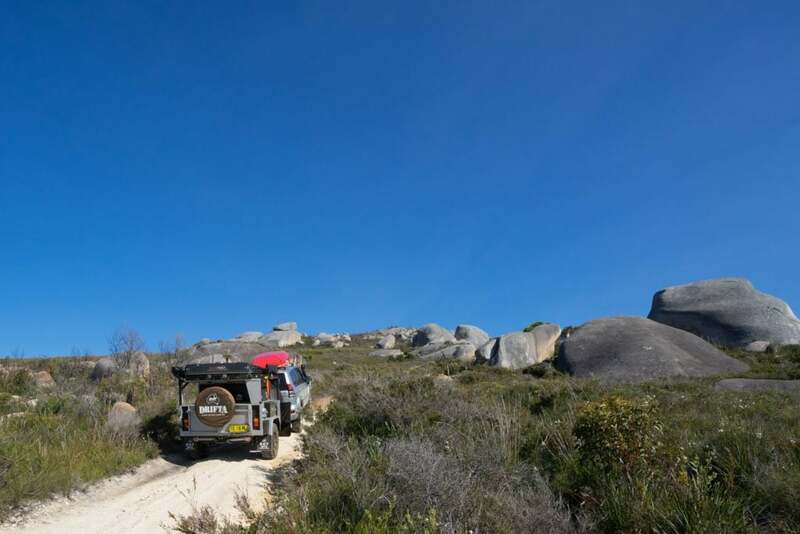 On the steep and soft ones we ran at 12 psi tyre pressure in both our 4WD and the trailer. We crawled along with surprising ease and without the need to use momentum. At camp the DOT 6 HARD TOP is somewhat of a tardis. A quick night can be enjoyed by simply popping the tent and pulling out the kitchen. Staying a little longer and the roomy awning offers protection from the elements. The ensuite swings out with ease and hot water is supplied by a Joolca instant gas hot water system. If the weather sets in the canvas walls can be used to enclose the kitchen or the whole awning. 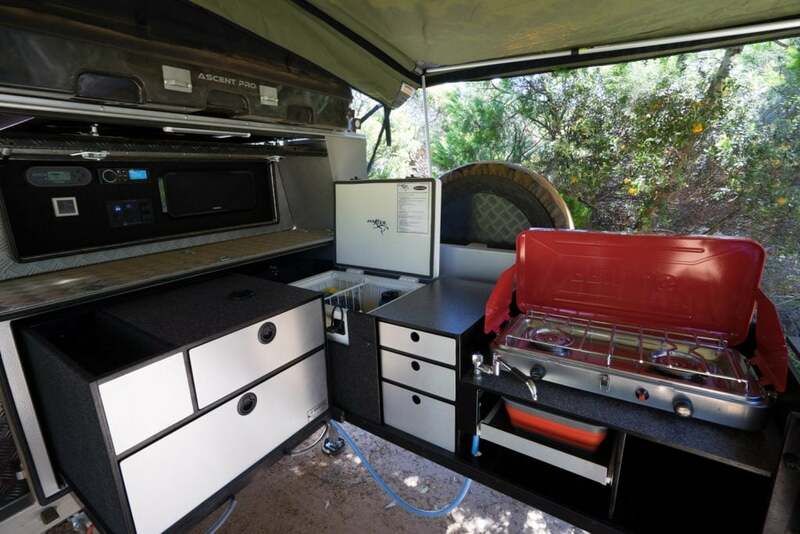 The kitchen holds a 40L EVAKOOL fridge/freezer, Primus gas stove, pull out basin, lots of drawers of different sizes and more bench space then almost any camper trailer. 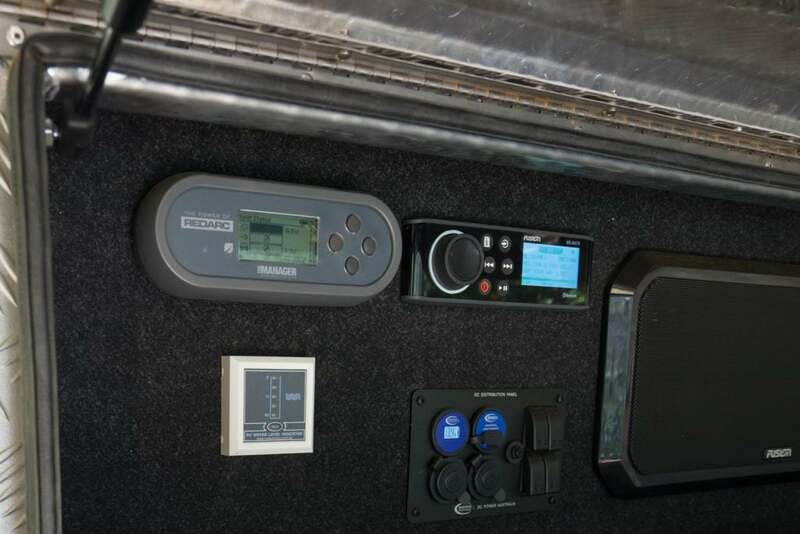 One of the most practical features of this trailer is the easy to access storage. 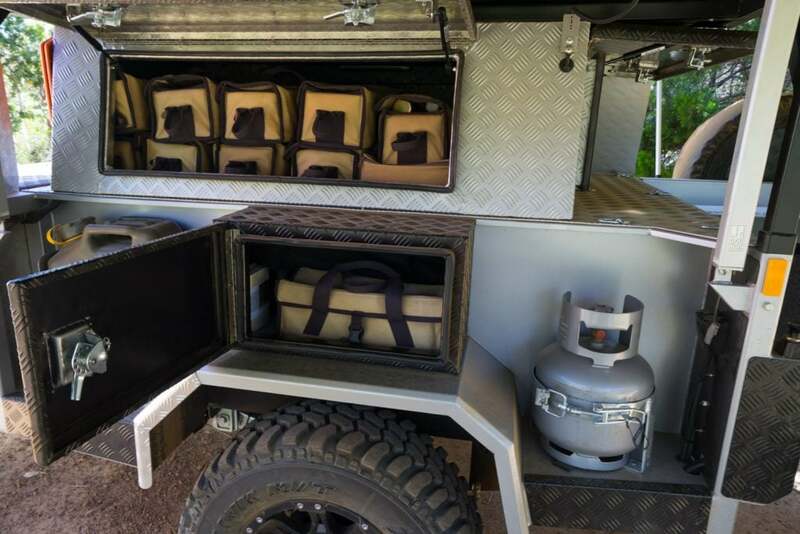 The gull doors on each side swallow gear, the wheel arch boxes are great for pegs and tools, and up on the drawbar the firewood box and tool box are really practical. 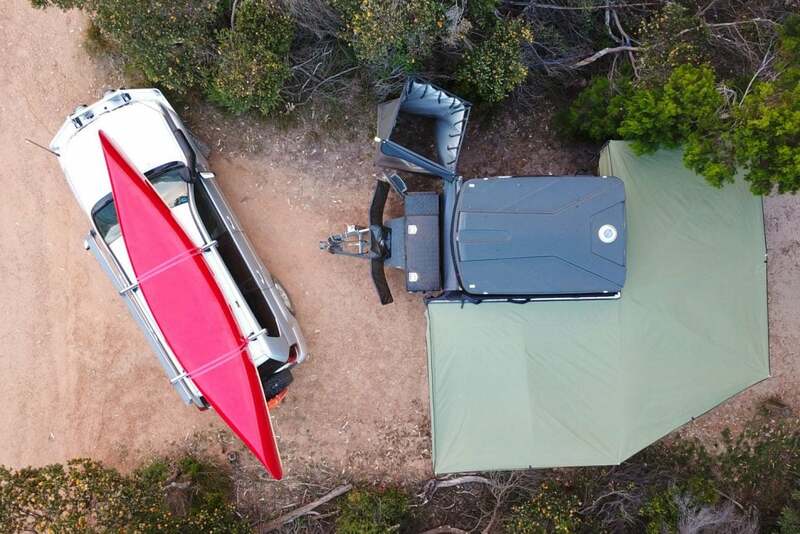 The twin 120 AH batteries are powered by the premium REDARC Manager 30 which allows the batteries to be charged from 240V, the 4WD or from solar panels or blankets. 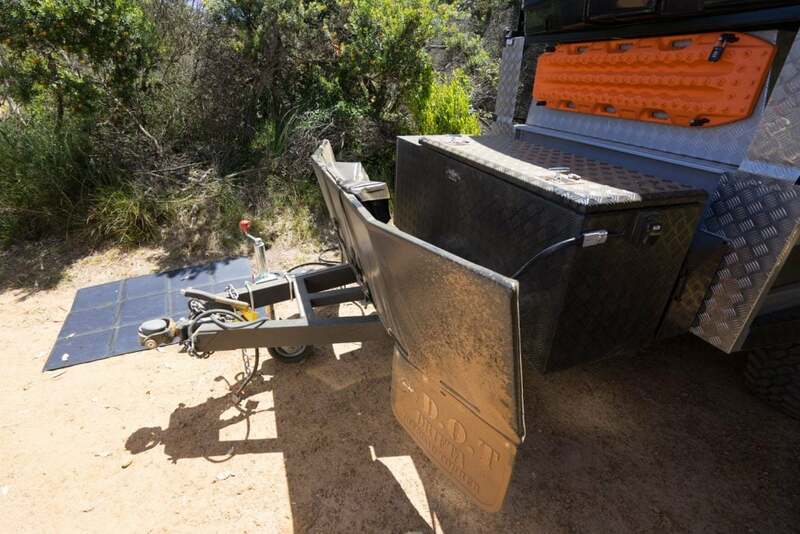 Combined with an 80 litre water tank and this trailer is perfect for off-grid camping. The BACKTRAX tent is roomy and well insulated. 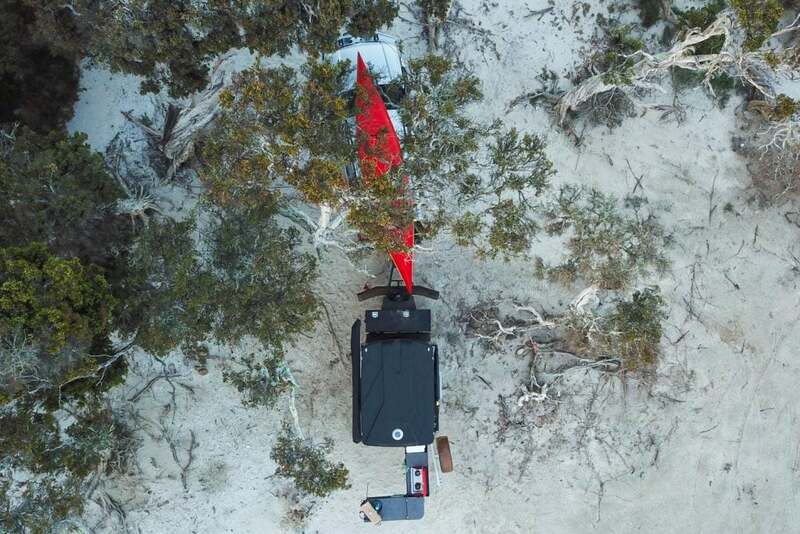 It differs from other hard shell tents in that it is power operated – so at the press of a button camp is set! We like outdoor camping so this style of trailer is very much our kind of trailer. 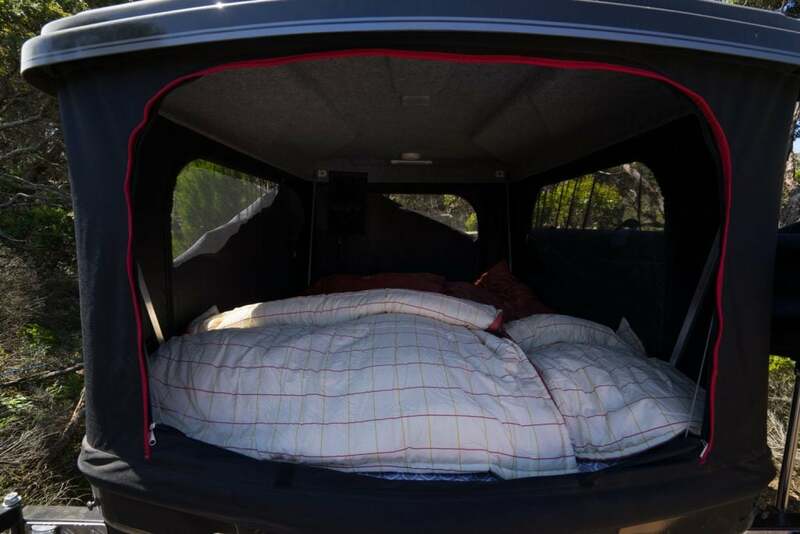 This particular model is perfect for a couple, or even a family with children old enough to want their own tent or swag. Families with young children may prefer the DOT 6 SOFT TOP for the larger tent. 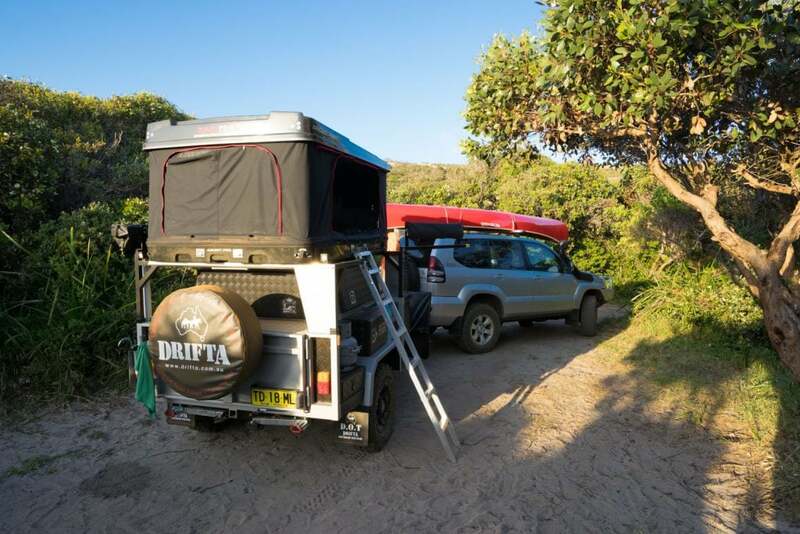 Take a look at our review of the DOT 6 SOFT TOP and the DRIFTA Camper Trailer Kitchen.